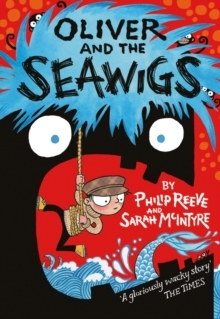 A lively, gorgeously illustrated story from Dynamic Duo, Reeve and McIntyre!Along with his new friends, a grumpy old albatross, a short-sighted mermaid, and a friendly island called Cliff, Oliver goes off in search of his missing parents. But before he can put his rescue plan into action there's the evil Stacey de Lacey and an army of greasy, green sea monkeys to contend with . . .